A scene from Alibaba Cloud's CACSC contest. 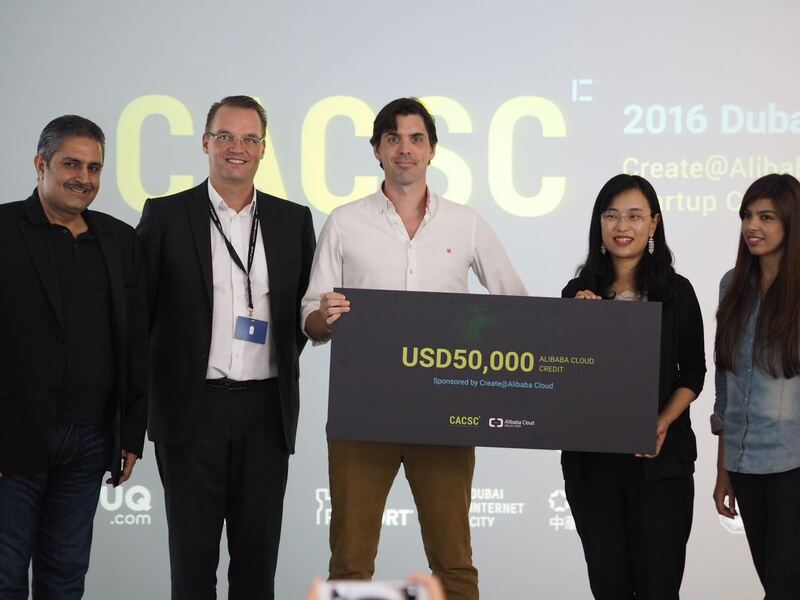 Alibaba Cloud, the cloud computing arm of Chinese e-commerce giant Alibaba, hosted the Dubai edition of Create@Alibaba Cloud Startup Contest (CACSC) –a global entrepreneurship challenge- on September 21, 2016. Conducted in partnership with Dubai Silicon Oasis Authority (DSOA) and held at Dubai Technology Entrepreneur Centre (DTEC), the contest saw ten technology startups working across e-commerce, multimedia, gaming, social media, and other sectors, come together to present their ventures. E-commerce startup Marhababy emerged as the winner of the competition, landing US$50,000 credits to be redeemed on Alibaba Cloud’s products and services. The startup also heads to China to compete in the international final to be held later this year, thus enjoying an opportunity to network with investors and business leaders in China’s market. Alibaba Cloud also announced $10,000 credits in cloud resources for all the other participating startups. The winning startup Marhababy is an e-commerce firm that creates and provides soon-to-be mothers with free gift boxes filled with relevant information, expert advice and samples- a starter kit of sorts for expecting mothers. Speaking about Marhababy’s expectations from the challenge, Managing Director Pieter Sleeboom noted that the mentoring they hoped to receive from Alibaba and regional business leaders is bound to be “very valuable for every young and fast-growing business.” Sleeboom added that the team will use the feedback from the Dubai event to compete in the global finals. “We also hope to build new relationships and learn a lot, because China is leading in digital areas like mobile, social, and video, that are super relevant for Marhababy,” he adds. The CACSC Dubai session invited applications from companies registered in the Middle East region which met the criteria laid down by the global challenge, i.e. “have a clear business model, innovative products and a good potential to grow.” The startups showcased their business potential to a jury panel, which included Dinesh Ajmera, SVP of Technology, Souq.com, Prashant Gulati, founder, The Assembly, Wissam Younane, CEO, BNC Publishing, among other ecosystem stakeholders. Souq.com, Careem, PayFort, In5, Flat6labs, and others were partners for the contest.